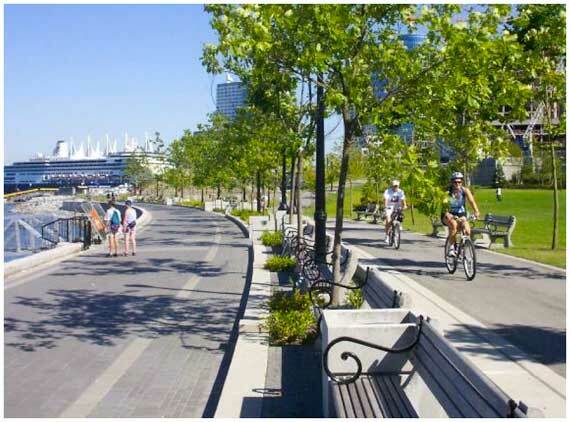 The Most Important Urban Design Decision Vancouver Ever Made? Last weekend at a book launch party, our host began the evening by asking each party-goer to answer a fun and provocative question: "Tell us an urban design decision that you love." For a group of city-making wonks like us, it was an even better icebreaker than the wine. 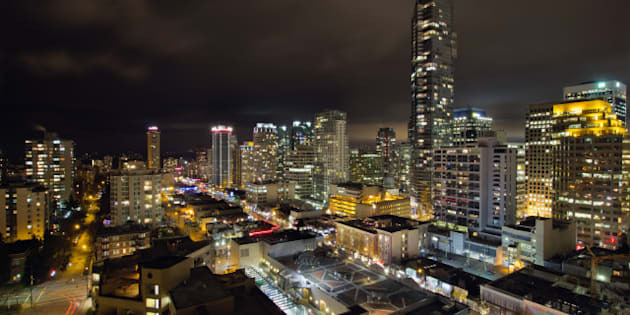 Last weekend at a book launch party, our host, Simon Fraser University's City Program Director Gordon Price, began the evening by asking each party-goer to answer a fun and provocative question: "Tell us an urban design decision that you love." For a group of city-making wonks like us, it was an even better icebreaker than the wine. As you might imagine, each respondent had their own flair in answering, which is what made hearing all the excellent responses interesting. When it came time for my answer, it should have been hard to choose just one, especially here in Vancouver. It could have been the decision to always have public access, and thus public life, at our water edge, even in the recent design of the new Convention Centre. Or protecting public view corridors to the mountains and water from across the city, thus always connecting us to our city's beautiful setting. Or essentially banning blank-walls at eye level along city streets, to always make walking inviting and interesting. My list of urban design loves in our city is actually very long. But as it turns out, my answer was easy, if perhaps a bit surprising depending on your definition of urban design. In Vancouver, often referred to as "a city by design," the most important urban design decision we ever made, the decision I loved most, is actually usually referred to as a transportation decision. In 1997, the city approved its first transformative Transportation Plan. Co-written through a first-time (and not easy) partnership between city planners and transportation engineers, the plan was a game-changer for our city-making model in many ways, most notably in its decision to prioritize the ways we get around, rather than balance them. The active, healthy and green methods were ranked highest -- first walking (our top priority), then biking, and then transit, in that order. The prioritization then went on to goods movement for the purposes of business support and economic development, and lastly, the private vehicle. As far as I know, we were the first city in at least North America to do that -- and certainly the first to try to actually make it real. Since cars aren't going to disappear any time soon, Vancouver still spends a considerable amount of energy trying to make driving a greener and healthier proposition, with examples from electric vehicle charging station pilot projects, to policies and zoning incentives that have contributed to our incredible growth of car-sharing. However the private vehicle remains the last priority. I always note that we are not anti-car, and we rarely ban the car, but prioritizing it last has had a dramatic effect on the way we design our city. If you're a driver who is worried about the lazy "war on the car" language that pops up occasionally, remember this: our model of city building understands the "Law of Congestion" and proves that when you build a multi-modal city, it makes getting around better and easier for every mode of transportation, including the car. It makes our city work better in every way. This decision to prioritize rather than balance our ways of getting around, has been a huge part of the essential "design DNA" guiding our city growth. It's shaped every decision that followed, from thousands of physical design details small and large, to key related decisions like budget allocation. Has every decision followed it perfectly? No, there are many illustrations around the city where the prioritization hasn't been perfectly reflected. However, enough have, to make our city design fundamentally different than other North American cities. So my answer to Gordon's question, "What urban design decision do I love?" is our ahead-of-the-curve, 1997 decision to prioritize active transport rather than trying to balance ways of getting around. A decision we reinforced and are taking further in the recent Transportation Plan Update I had the pleasure of working on. A transportation decision, sure -- but also an urban design decision, a city-making decision. The most important urban design decision our "city by design" ever made, I believe, flowing from the most important decision of any type we ever made -- saying no to freeways in our city. These days, our municipal leaders are approaching some big new decisions for our city-building future, such as the opportunity to finally remove the Georgia and Dunsmuir Viaducts (which I call the only asterisk next to the statement that we have no freeways in Vancouver). Such a decision would leave a stronger and better-connected city in their place. When we consider a decision like this, in light of this most important urban design decision we ever made, that has shaped every decision that comes after it, the answer is clear. No wonder I love it.